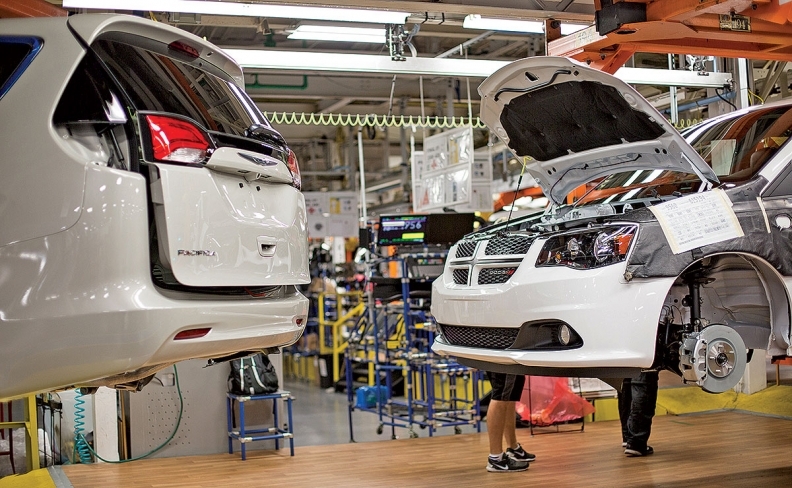 A Dodge Grand Caravan follows a Chrysler Pacifica down the assembly line in FCA's Windsor Assembly plant. Dodge may be the spiritual home of the Hellcat, but it's the brand's ancient minivan that's turning out to have nine lives. Fiat Chrysler dealers in the United States were warned this month to stock up on the Dodge Grand Caravan because production in Windsor, Ont., will go on a hiatus in mid-August and won't resume until December when 2018 model output begins. 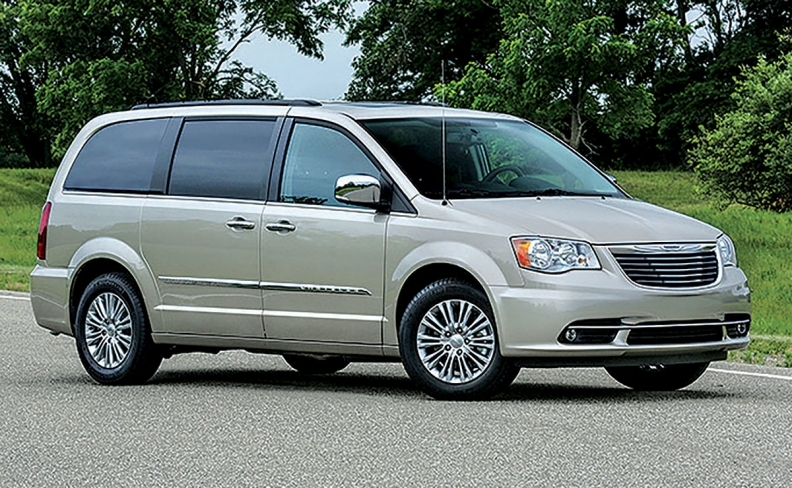 The dealers were told they will need to order enough 2017 Grand Caravans this month "to last through December" because ordering for the 2018 model won't open until October and new minivans won't arrive until January. It's not known if Canadian dealers were given the same instructions. Dealers in the United States also were told that only the two lowest-trim — and lowest cost — versions of the Grand Caravan will be available through August: the US $27,090 SE and the Us $29,790 SE Plus. Prices include shipping. The reason for the Grand Caravan's extended production break is unclear. Two FCA spokespeople did not respond to requests for comment on the hiatus or whether the vehicle would be significantly altered when it returns as a 2018 model. Officials with Unifor, the union representing Canadian auto workers at FCA's Windsor Assembly plant in Windsor, Ont., could not be reached for comment. Sales of the Chrysler Town & Country in the first five months of 2016 topped those of its Pacifica successor in the same period of this year. Such production breaks are common if a vehicle's supply outstrips demand, but FCA began June with just 11,967 unsold Grand Caravans in U.S. inventory, a 22-day supply, which was the lowest days' supply of any vehicle in FCA's lineup. By way of comparison, its linemate, the Chrysler Pacifica, started June with a more standard 66-day supply in the United States. Days of supply aren't usually reported in Canada. FCA has extended the life of the Grand Caravan at least twice. Originally, production was to end when what became the Pacifica debuted in 2016. But executives initially spared the axe when they realized that they needed the Grand Caravan to cover the value end of the minivan market and to meet continuing demand for minivans from daily rental fleet providers, with both actions not only generating profits but protecting the residual values of the newly launched Pacifica. According to registration data provided to Automotive News, more than six of every 10 Grand Caravans registered in the United States each year begin as a fleet vehicle. The Caravan is wildly popular in Canada. So far this year, FCA has sold 21,428 Dodge Caravans in Canada. Suppliers were initially told that Grand Caravan production would end in August 2017. Then, last November, suppliers in Canada were informed that the Grand Caravan would be extended at least into 2019. For U.S. dealers, continued availability of the Grand Caravan has been important to keep minivan customers happy. The least costly Pacifica in Canada starts at C $37,995, before shipping or discounts— C $7,500 more than the least expensive Grand Caravan, and more costly than the Chrysler Town & Country minivan it replaced. However, through May, sales of the Pacifica were 2,819, compared with 2,540 Town & Countrys sold during the same period of 2016 after Town & Country production had ended.